I loved this picture of my youngest daughter twirling in her dress, I really wanted to create a very "girly" spread to reflect the theme of the picture. 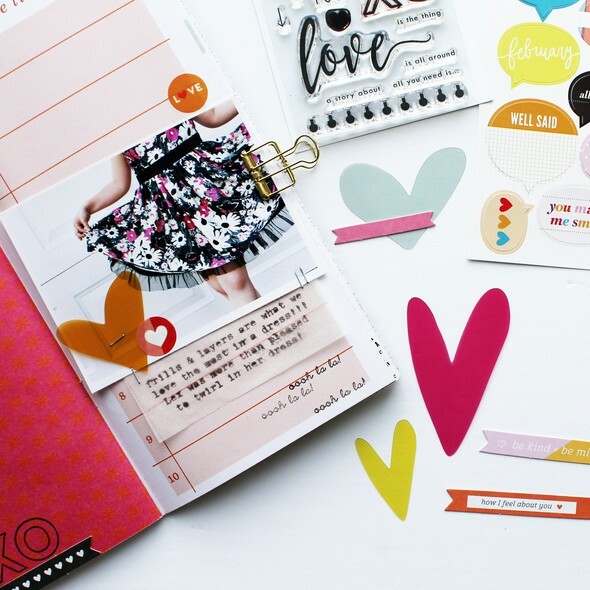 The speech bubbles were such a perfect accent for this spread, I opted to create a small cluster to which I added the velum stickers and some stamped hearts. The journaling was again done on a glassine bag that I re-purposed from the kit. TFL!